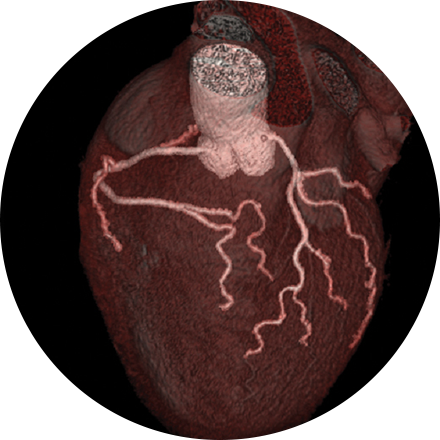 Cardiac imaging has advanced to allow for detection of problems that often could have been done previously only with invasive surgery. Radiologists can detect abnormalities at an earlier stage and then collaborate with physicians in other subspecialties to provide minimally-invasive treatments where applicable. This non-invasive exam shows how well blood perfuses (flows through) your heart muscle—in other words, how well your heart is pumping. Sometimes known as a nuclear stress test, it can be performed while the patient exercises on a treadmill or, if that is inadvisable, using a medicine that simulates the effect of exercise on the heart. Myocardial perfusion is an effective way to assess narrowed arteries, the effects of a past heart attack, or the viability of further procedures, such as a stent.